The big deal coming up for science administration in Ukraine is the launch of the National Research Foundation (NRF), an agency that is supposed to issue grant money transparently. The hope is that it will counter the brain drain from the sciences and raise the quality of research. However, the launch is already facing some hurdles. An independent European audit of Ukraine’s research infrastructure carried out under the Horizon 2020 program showed that lack of funding is the key issue that underlies all the other problems facing the country: outdated research facilities, low salaries for scientists, and the brain drain from the country’s scientific ranks. Nor will 2019 turn out to be the breakthrough year as far as funding is concerned. For one thing, funding for the National Academy of Sciences (NAS) is being pegged at UAH 4.6bn—as much as has been earmarked for the Central Electoral Commission. The Law “On science and scientific and technological activities” states that funding allocated to the sciences should be at least 1.7% of GDP. Right now, it’s 0.27%. In 2019, on the other hand, the National Council for the Development of Science and Technology is expected to start functioning fully, together with the NRF. The National Council was set up back in 2017, in accordance with Art. 20 of the law on science, as an advisory body under the Cabinet of Ministers and directed by the Premier’s Office. It includes world-class academics with a high reputation and it is expected to advise the government on the development of science in the country. 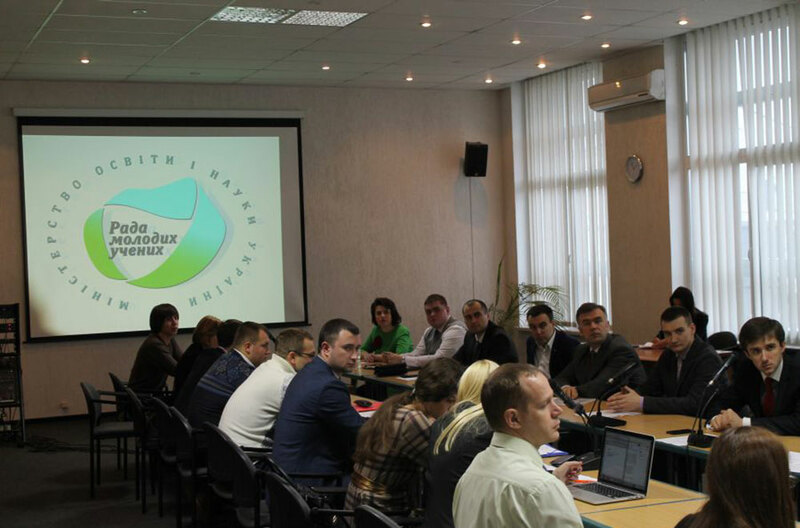 The administrative committee includes the education minister, other ministers, officials from oblast state administrations, and the rectors of leading post-secondary institutions. The Council is to meet at least once every quarter but so far it has only convened once, in January 2018. The 2019 Budget provides only UAH 509,000 for this body to operate, which is very little. RELATED ARTICLE: Deputy Education Minister Maksym Strikha: "Science is not a means of satisfying one's curiosity, but the guarantee of the national security"
Bezvershenko says that the Council needs funding, regardless of the fact that the scientists in it work on a voluntary basis. The money needs to go to set up an analytical department to collect data about Ukraine’s science system. On July 4, the Government established the National Research Foundation and it will begin issuing grant in the new year. Of the minimal budget of UAH 300mn requested, the NRF received only UAH 262mn. Even its legal status is still in the air: the Cabinet is in no hurry to confirm an interim head for the Foundation, and without a director the institution cannot be registered as a legal entity. This has already cost the Foundation its status as the main manager of budget funds. Right now, the NRF remains under a ministry, which violates both the Law “On scientific and science and scientific and technological activities” and the very notion of the Foundation as independent agency that is equidistant from all players in science. The Foundation has three sections: 14 researchers in mathematics and natural sciences, 9 researchers in biology, medicine and agronomy, and 7 researchers in the humanities. All told, the Science Board includes 30 scientists. “The members of the Science Board of the NRF were selected on September 16, with more than 5 individuals competing for each spot in all the sections,” explains Vilchynskiy. “However, the documents approving the members of the council have been sitting on Ms. Hrynevych’s desk ever since [Liliya Hrynevych, Minister of Education and Science]. As soon as the Science Board is legally formalized, we will elect a head and heads of each of the sections. After that, we will hold a competition to select an executive director for the NRF, hire a staff of 60, and begin holding competitions for grants as soon as the budget money is in the Foundation’s account. According to Vilchynskiy, the projects that the Foundation will issue grants to will have to meet the highest European standards, as the minimum grant will be UAH 1 million for 12 months. Every project will be independently and transparently vetted by experts and the members of the Science Board will provide support for both fundamental research, such as natural and technical sciences, and applied research. Meanwhile, President Poroshenko approved the decision to establish a fund worth UAH 1 billion to support young people, master’s degree holders, post-graduates, and PhD students. The assumption is that it will start working in 2018 as well, although how it’s supposed to work isn’t clear yet. Altogether, the hope is that, starting in 2019, Ukraine will finally have a system to properly fund scientific projects through grants.